Formal Nights for talks, demonstrations, lively discussions and activities: 7:30pm at the Rutland Hotel, 452 Glossop Road, Sheffield, S10 2PY. are our friendly "Cheers n Beers" gatherings in the public bar at the Rutland Hotel, 452 Glossop Road, Sheffield, S10 2PY. Check out our events and Member's Hub on Facebook, as we either go out for meals and socials, or we do portable evenings. Welcome to the website of the Sheffield & District Wireless Society. 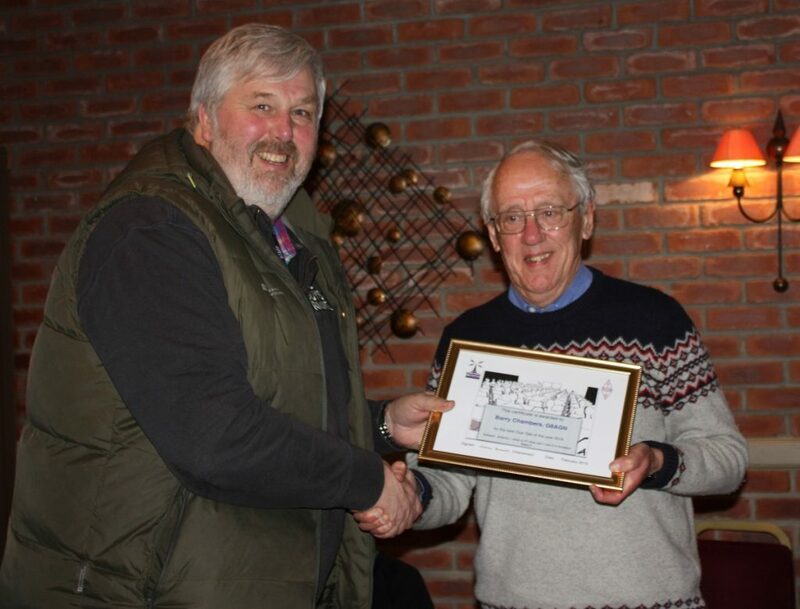 According to newspaper archives, the society has established roots dating back as early as 1919, so in name it is the oldest Amateur Radio Society in Sheffield. The Society was disbanded around 1930 and reformed as Sheffield Amateur Radio Club in the early ’30s. Nine decades later, in October 2013, saw many members move across from SARC to recreate S&DWS, bringing with them a very long wealth of history and knowledge. 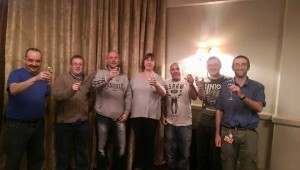 Sheffield Wireless was reborn offering a very relaxed, different and refreshing set of membership aims and objectives. The kind generosity of our hosts at The Rutland Hotel means we are able to offer FREE membership and no subscriptions. All we ask is you buy a drink or two from the bar, and perhaps a snack or an evening meal as some members regularly choose to enjoy. 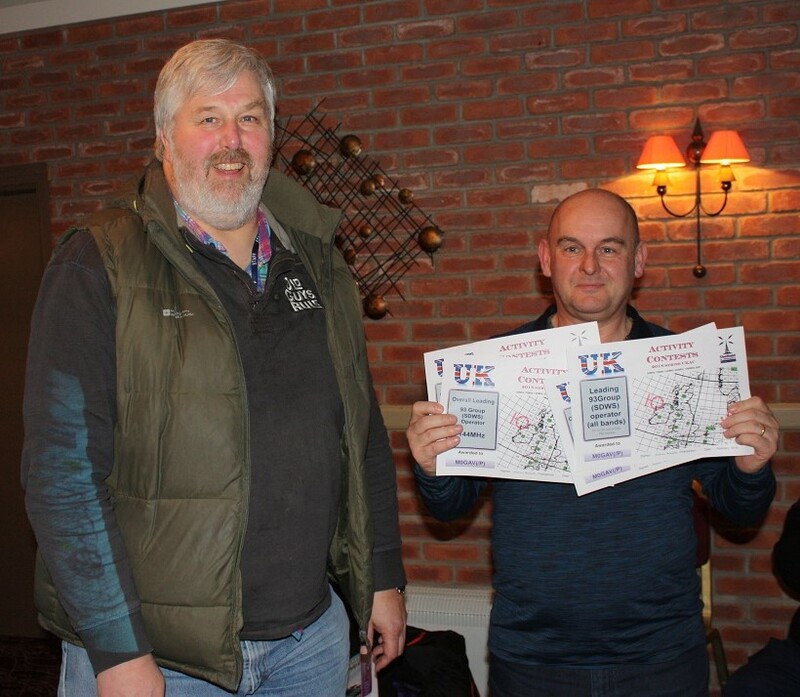 This should be a huge welcome to new members who are interested in getting involved in amateur radio, who want to take up training for Foundation, Intermediate and Full License, enjoy our lectures and social nights, or typically, become a part of our strong and vibrant contesting team where we do have a strong recent history of being at the top of the league tables. Feel free to visit our website and Facebook promotional page, or better still, come along to one of our Society meetings, talks or events where a very warm welcome awaits. Do come and join us on in our Member’s Hub where most of our daily activity takes place. There are no member fees to join the society, just bring yourselves along, your ideas and together we can enjoy what is a fantastic life long hobby to pursue! 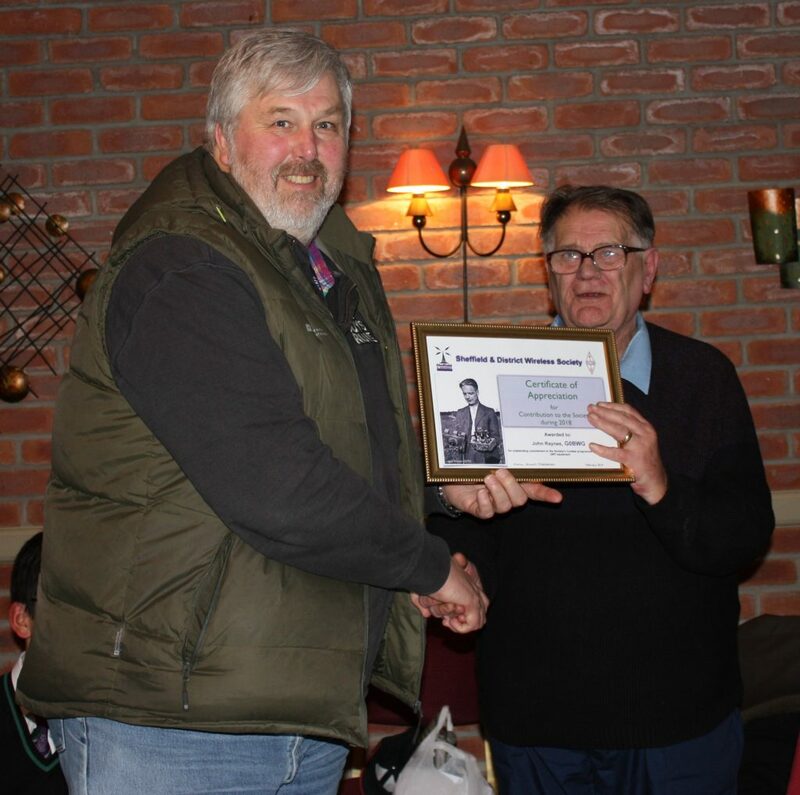 Wednesday evening, 6th March 2019, saw a full room of SDWS members attend the Annual Awards Evening. You can view the Power Point presentation (in PDF format) by clicking on this link. Be aware that this is a large 29MB file so it could take some time to download if you have a slow internet. The evening began with an introduction by Andrew, G0HSA, the SDWS Chair, followed by the Secretary’s Power Point presentation of the past year’s Society activities. It was obvious that SDWS is going strong, thriving and doing very well in all the various contests we enter. Finally the awards were presented to those who were able to attend. Only a few could not be there and it’s proposed they will receive their awards at the April meeting, just before the main speaker begins his talk. It was a special pleasure to see John Raynes, G0BWG at the club last night. 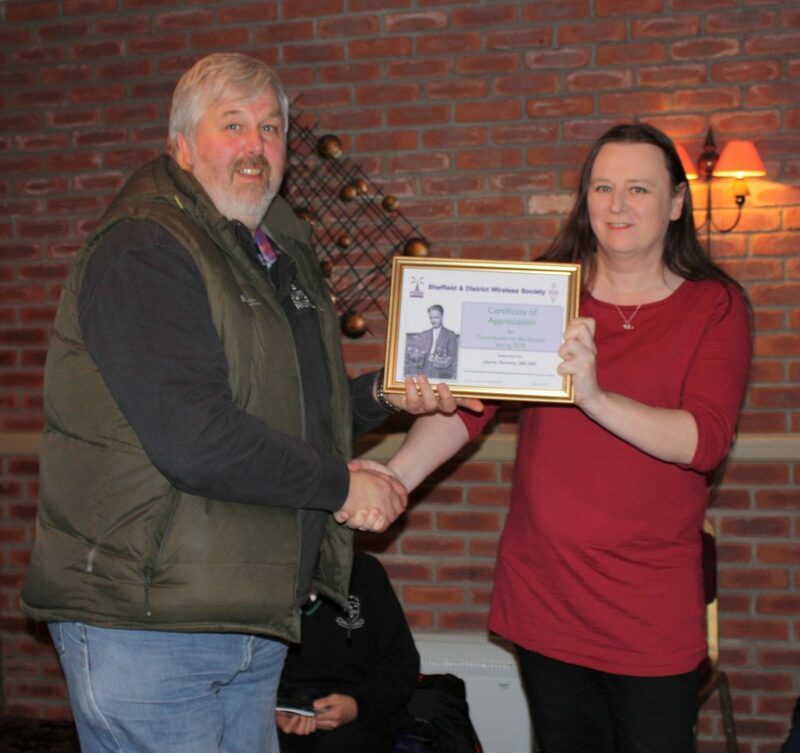 He has been a very loyal member supporting the club contest programme year after year, running just 5 watts QRP. It was also very good to see John M6JIJ, now 2E0RVX, back at the club again after a few month’s absence. We were also graced by Marcus, M6RUK’s presence as apparently the fish were not biting that evening 🙂 Good to see you Marcus! The photos show most of last night’s action and are individually titled. Many thanks to Bill, G4ZVB for most of these pictures. 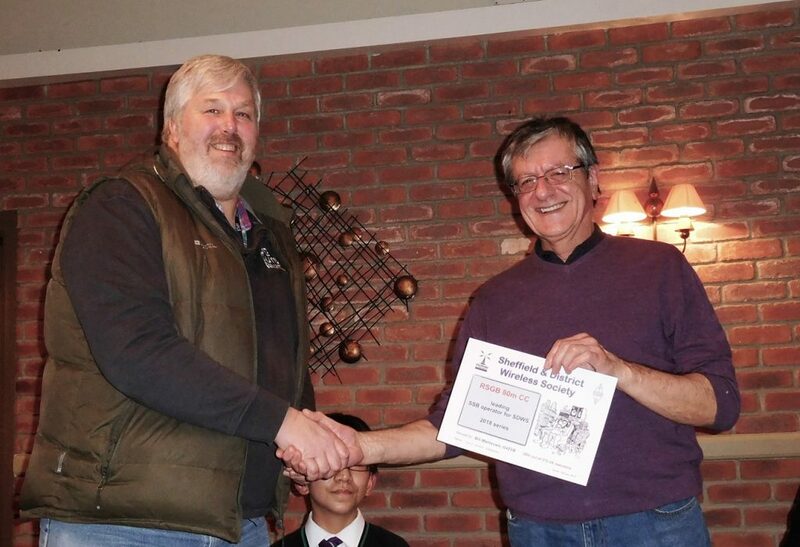 Russell, M6URH (left) receives the Society Award for Progress in Amateur Radio during 2018. In spite of some difficulties he persevered and passed his Foundation examination with us last year. He is now active on HF running 10 watts of SSB and has already made many contacts outside the UK. 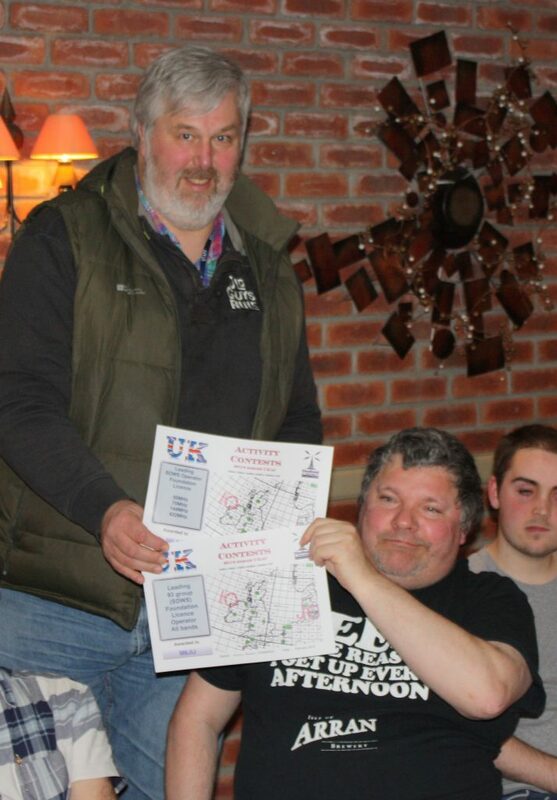 Andy, M0GAV (left) has for years been our most successful contester, especially in the RSGB UKAC series. 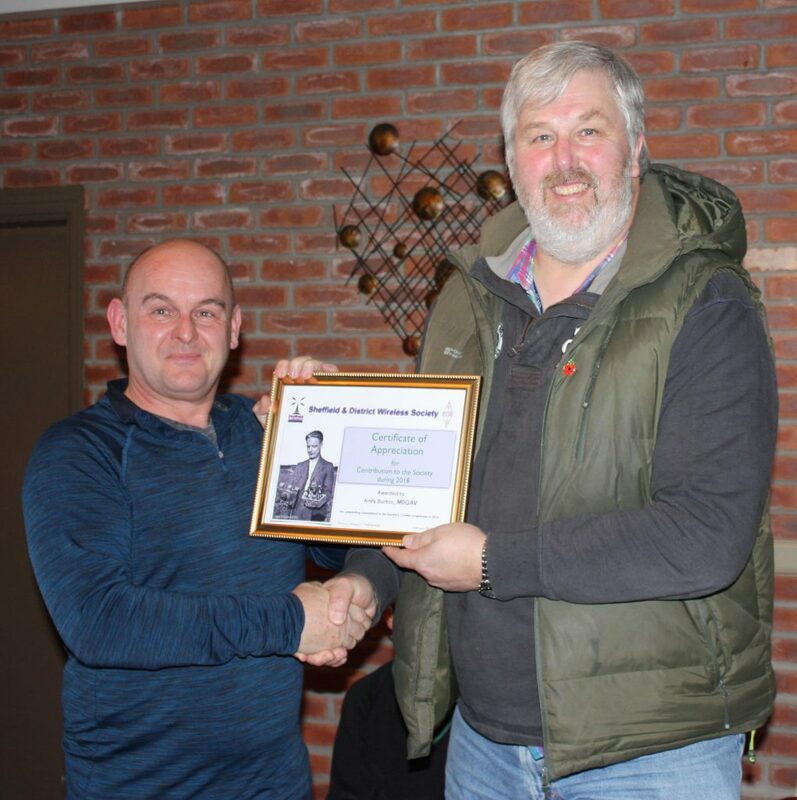 He was awarded a special Certificate of Appreciation for his efforts, which include week after week of portable operations on Houndkirk Moor and Wharncliffe often in severe weather. 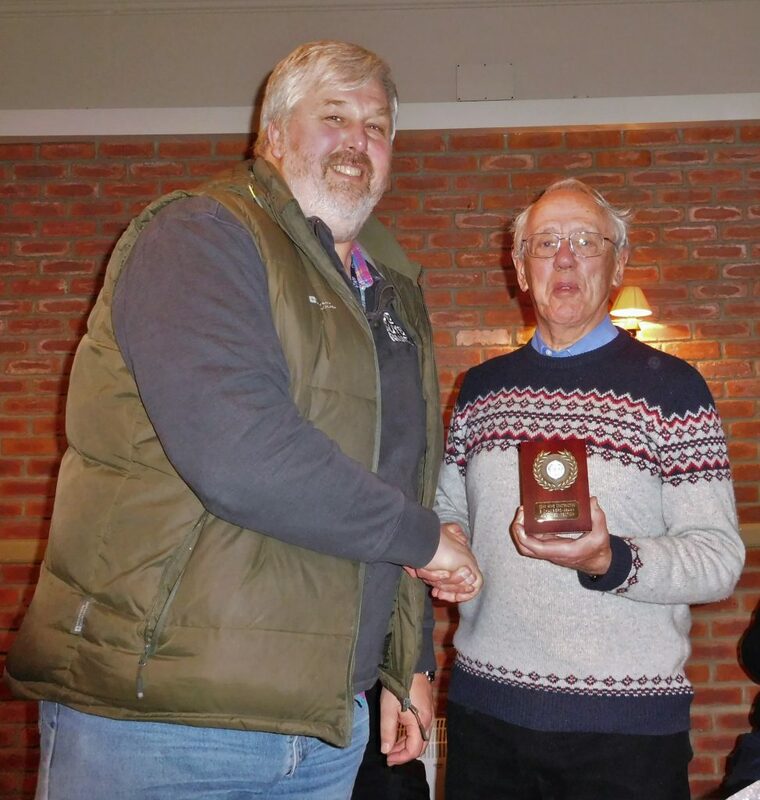 His efforts not only ensured SDWS won the UKAC Local Club league in 2017 but got us (operating as 93 Group then) to second place in 2018! 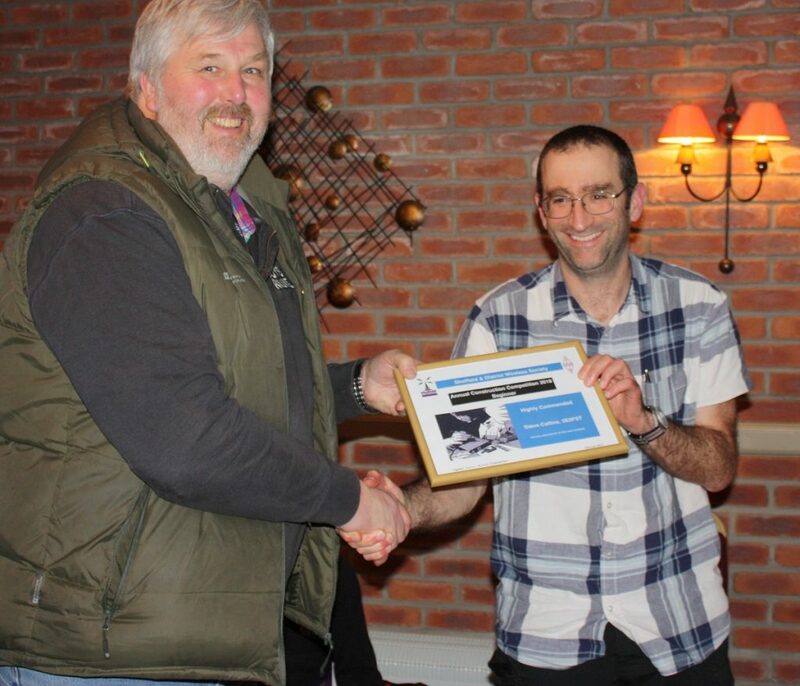 John, G0BWG( right) was formally recognised for his consistent support of SDWS in both VHF and HF Contests. Running 10 watts or less, he enters logs in the RSGB UKACS, 80m CCs and the Autumn 80m Series week after week. He is an invaluable member of our contest team. As of September, the Ham Tests website will be no more. 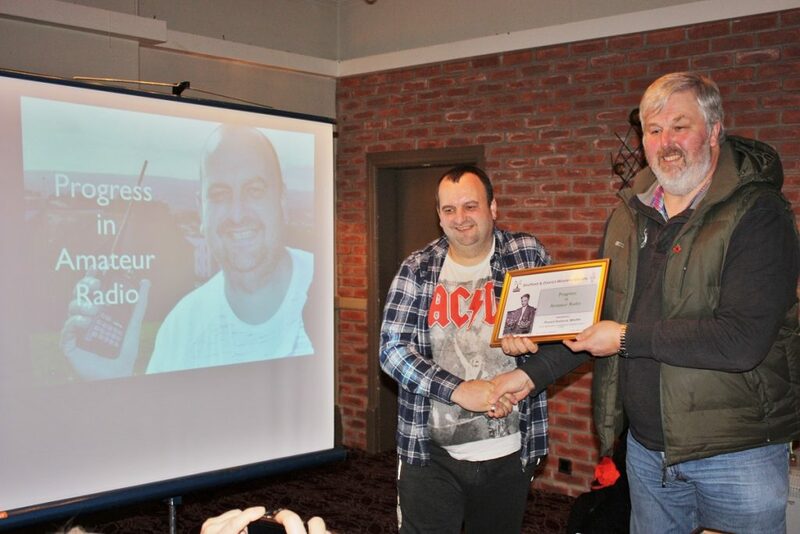 Sheffield Wireless would like to congratulate and give huge thanks to Paul M0TZO for his tremendous work in maintaining such a valuable and highly commendable website resource. One can only presume that with the one person now working on the site, and with the massive impending changes to the Training Syllabuses across the licences, that the work to update, and bring in new questions will be greatly an onerous one. If this is the case, then Paul’s departure comes at the right time for him, so that he can enjoy a well deserved break after a decade of devotion to such a fantastic resource. There will certainly be strong new challenges for any new person who attempts to venture with their own new resource for the community, as the benchmark to reach is a high one..!! You might wish to direct your thanks to M0TZO Paul Gibson for doing such a fantastic job. I’m sorry to have dragged this out. Last year my fellow Admin pulled out and I tried badly to run HamTests on own. I should have listened and bowed out gracefully then. So this time I’m here to say we are closing this time, but maybe as a result of the delay we are not losing some work. From today, no support will be offered for site issues. It’s sad, but the Aim for HamTests was achieved. Peter 2MØSQL and myself Paul MØTZO wanted an online way to train for our tests. We’ve won awards, we’ve set the benchmark, but our time has ended. We hope our legacy will go on. At the end of August will will close this site and delete the user database. We’ve had a good fun 10+ years and have many good memories. We still try to get to Guernsey for IOTA because of this site. We wish you all the best with your studies and would hope to have a QSO some time. This is a positive statement looking back and looking forwards for Sheffield Wireless; prepared arising from my planned absence for the AGM. SDWS started back in October 2013 as a result of an exciting meeting at the University Arms planning the formation of a new group and a new contesting team. It was a fantastic evening with positive discussions and plans, resulting at the end in a standing ovation to everyone. All the participants who attended will be glad to reflect back and recall what was an absolutely electric back slapping atmosphere. Brilliant, to say the least! Society members must never forget that night, nor forget why we created the five aims and objectives of the society and what they stand for, as a means to get away from past grievances which are clearly aired on our website. So, what have we achieved in my time as Chair? We have a strong contesting team with consistent results at the top of the UK charts, where this year the society will obtain a Trophy it so very much deserves after so much hard work in the UKAC’s. We have trained over 20 Foundation students joining our membership ranks, over 5 intermediates, mainly by myself with the support of a few volunteers, thanks to Jayne M0JNE, David G8EQD, Dave M5DWI and Peter G3PHO, as well as Steve Hambleton G0EAK Invigilating independently for us from Worksop ARS and with 1 full license pass from M0JNE. We’ve in the main attained high quality meeting accommodation for free for several years, but now at a low price with a great bar and restaurant within what is a highly supportive hotel business. 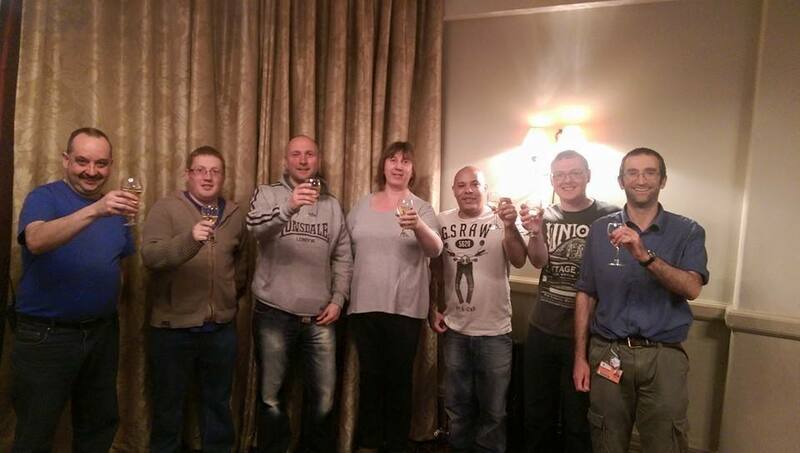 We’ve had two very successful IOTA DXpeditions to Arran jointly with Worksop ARS and 93CG. A very positive set of events that helped to build up and form positive inter club relations. We’ve formed very positive inter-club relations, one which we can be proud of, and ultimately, must always work hard to build on and maintain. No other society has ever achieved that form what I can see. We’ve had some high quality talks ably arranged by Steve 2E0FST and Peter G3PHO, with one talk being arranged via online FaceTime chat and sometimes by Peter G3PHO via the BATC. We’ve stuck to our goals of a society free of membership fees and subscriptions, with members contributing personal choice donations to help maintain costs of our room bookings. We’ve produced some great training videos and materials, created mainly by myself which are now greatly in need of updating and change due to large scale and increased syllabus changes. We have a great informative website, built mainly by myself with Peter G3PHO providing a good publicity resource. We have a popular publicity page on facebook which helps to draw more people from around the world to join us. We have great publicity materials from flyers, business cards, a banner and many videos to enjoy. The society has achieved many more things in its small time in existence, so we have a lot to be proud of what’s been established. So, what next for SDWS? It’s clear a lot has been achieved, and whilst most of the current committee are willing to re-stand, let it be known that they also do need a break too! I am standing down because despite a small recent spat, I really am very very tired, and have a lot to do currently. 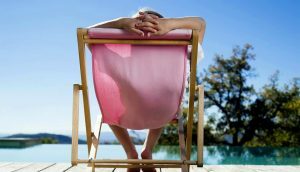 I have done so much for the society in recent years that I am looking forward to a much needed break and holiday from Chair as well as my role in training. It really has been a hard slog. I need to get on with my Full License without any distraction. I was asked recently how long I’ve been doing the full, and the answer is, this is now my fourth and final attempt in so many years, fourth because of distractions of continuing to do training and chairing. I do feel I have done enough for the society and I, like the rest of the committee, deserve that break. There’s positive opportunities and challenges ahead. New training syllabuses will require a rethink and brand new material, so the old stuff will have to go as it’s now out of date. Several clubs up and down the UK are already considering withdrawing from 2E0 and Full Training in light of this, and the new syllabus will require training from previously 130 objectives to 250 objectives of learning. This is a big leap for volunteer trainers to consider, requiring a much bigger time investment. The slog will now get harder! There’s opportunities to publicise the society at local events of interest to you, using our banners and stand; a great way you as members can volunteer to attract new members to become involved in what is a fantastic hobby. Just ask for the banner anytime. There’s opportunities to build on what is already a strong contesting team, organise field days, arrange IOTA and SOTA events, and continue to build and rebuild links with other clubs. The real focus should not be on supporting the best contester in a team, as doing so fails to develop the skills, abilities and equipment of all team members for stronger teams results in the leagues. Our five aims and goals are what form the basis of our society, agreed at our first electrically charged meeting; to foster mutual respect and friendships, free membership, minimise conflicts with other clubs, self organisation of activities with no pressure, and a right for members to be treated with dignity and respect. ALL members need to remember all these aims and rules. I am very very proud of this Society and what we have achieved under my Chairwomanship..!! After everything I have done, I’m taking a much needed and well deserved break for a little while, just to get on with what’s really important to me. 73, 88’s and good luck..!! We’re very pleased to present Krystyna 2E0KSH’s latest video offering, a presentation on Technical Basics for Foundation Students. We hope you will find it of interest and of use in your learning. It is with great sadness that we regret to inform everyone that ‘Little Mickle’ aka Michael Coleman 2E0ZMZ passed away last night in hospital. He had been having stem cell treatment in recent months, and in the end succumbed to flu. His best friend for the last 23 years, Trev G0IYV was there with him in last moments.We give our deepest and warm condolences to his family. Mick leaves behind a large family of grown up children; he was well loved by his family and respected by many amateurs. 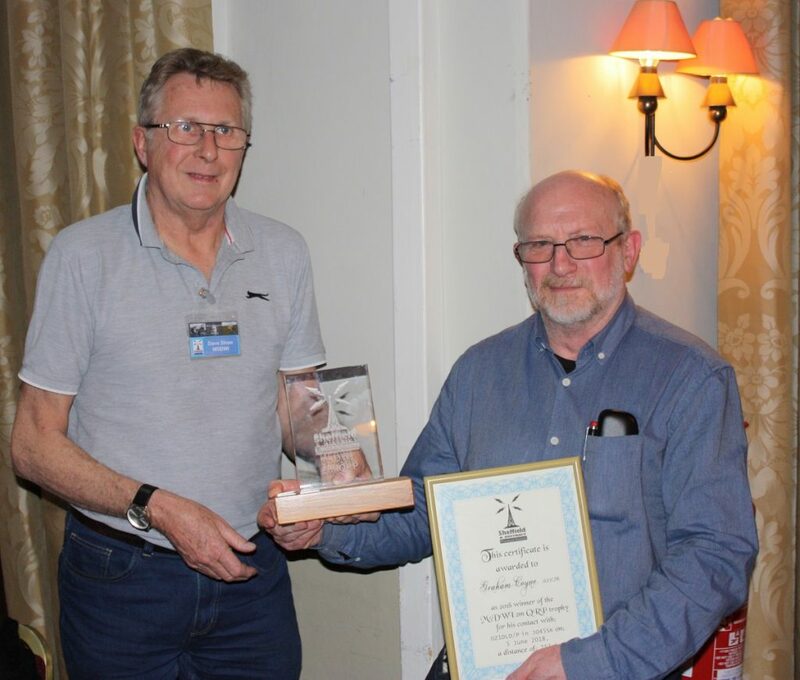 Andy M0GAC and Colin CT7ACG both comment how it was a pleasure to have known him, having attended Scotland’s Isle of Arran on a local club DX-pedition with Sheffield ARC some years ago, and often taking part in field days, being a resident tea maker, being fully involved in those events. He earnt his Foundation license some years ago until he gained his intermediate in 2013. In recent years there was less of a presence at our clubs, but he was always welcomed, especially his sense of humor and love of a bit of good natured fun, and never forgotten. 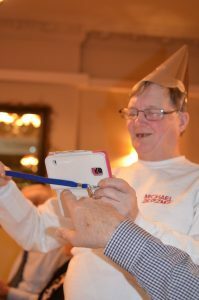 For a chap of short stature, he was one that left a large impression of a really kind hearted and amazingly funny chap. He will be very much missed by everyone. RIP Michael, now Silent Key, go fly with the angels on the airwaves. Come and Join us in 2018..!! 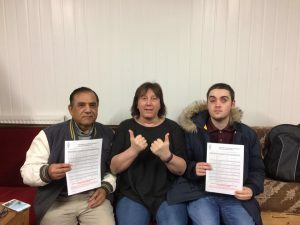 Two of Sheffield Wireless’ mains aims are to foster mutual respect and friendships, as well as minimise conflicting with the interests of other local groups, for the full benefit of its membership who wish to enjoy other commitments. So, it comes as a real pleasure when both our Societies have enjoyed good natured camaraderie against each other’s contesting teams in recent years, undertaking a joint DXpedition to Arran for the IOTA last year, and despite Sheffield Wireless being top of the UKAC league, Worksop ironically still gain more lead winners at national level.. ho hum..!! Whilst Sheffield meets weekly on a Wednesday evening, Worksop have two meetings on Tuesdays and Thursdays, so there is no conflict between us, just as we’ve always avoided conflicting with Sheffield’s other club’s meeting night on Mondays. This means our members can enjoy whatever clubs they wish to take part in for a whole week through, and enhance their hobby even more. SDWS and Worksop are two very different, but equally strong societies with ours having access to the generosity of facilities of Sheffield’s Rutland Hotel with activities based 0n a voluntary and self organised basis, with Worksop having it’s own building, several shacks and a great range of equipment in store to use and play with. For annual membership of £10 at Worksop, with a £1 door charge, it makes sense to support a very good value for money subscription which helps to pay for their facility costs. It is clear to the local Amateur Radio fraternity that there are a group of individuals on the GB3EE repeater with a goal to seek to persecute and oppress a certain M3 individual, to prevent that person using GB3EE, and also prevent anyone who is in communication with the said person, as well as to persecute and oppress radio amateurs who are challenging their actions. This is a message to those persecutors. 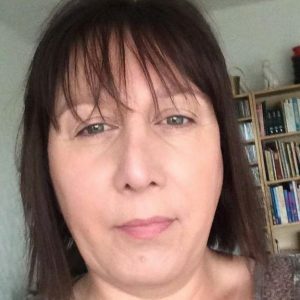 Whilst we do not condone the above behaviours, you have been heard threatening the partners, and especially the children of those who are challenging you. This is unacceptable. An example of good practice can be found with the paedo hunters on their various Facebook Pages where they hunt down pedophiles in a vigilante style and then involve police for conclusion. These ‘hunters’ are careful to point out to viewers watching that they must not approach the homes of such pedophiles, threaten families nor threaten children. You are advised to do the same by refraining from making any such further threats where children and the partners of these individuals, as this is a serious safeguarding matter where children are concerned. Such threats by adults made by yourself is a serious matter, a criminal matter, and is not the purpose of your objectives to stop a certain individual using GB3EE. Continue to persecute certain Radio Amateurs if that is your desire and goal, and clearly, we’re unable to stop you. This message is to ask you to refrain from threatening partners and particularly children who you have placed in a vulnerable position with your comments. Your threats against children are being recorded, and can be passed to the Police and Social Services as part of any Safeguarding investigations. This is a polite request to please desist. Thank you. We are very fortunate in Sheffield to have access to about 8 Repeaters and Links in the Sheffield area to enjoy, covering a range of different modes from Analogue FM, DSTAR, DMR, Fusion, with some links having access to either Allstar, IRLP and Echolink. And whilst many local radio amateurs have recently been dismayed and disheartened to hear of the abuse recently on Chesterfield GB3EE, being played out, day in day out, we just have to remember that there are alternatives to use until the ‘madness of the current abuse’ stops. The above link will take you to a page highlighting where you can find our local repeaters and links. It is important to remind ourselves that as much as we might wish to reason with such individuals, it is a breach of license rules to communicate on air with anyone who is not licensed, and it is certainly inadvisable to engage with someone who chooses not to give their callsign. The best thing to do, is leave the repeater alone, come back later, or go elsewhere, as it really isn’t worth the bother getting involved with such mindsets. 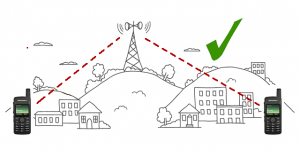 In the UK, the frequency allocations for repeaters are managed by the Emerging Technology Co-ordination Committee (ETCC) of the Radio Society of Great Britain and licensed by Ofcom, the industry regulator for communications in the UK. Each repeater has a NOV (Notice of Variation) licence issued to a particular amateur radio callsign (this person is normally known as the “repeater keeper”) thus ensuring the licensing authority has a single point of contact for that particular repeater. Sheffield has a long history where repeaters and keepers are concerned, the oldest one being GB3US. This used to be situated on the roof of the University for many years before it was moved, and provides us with great IRLP/Echolink access. 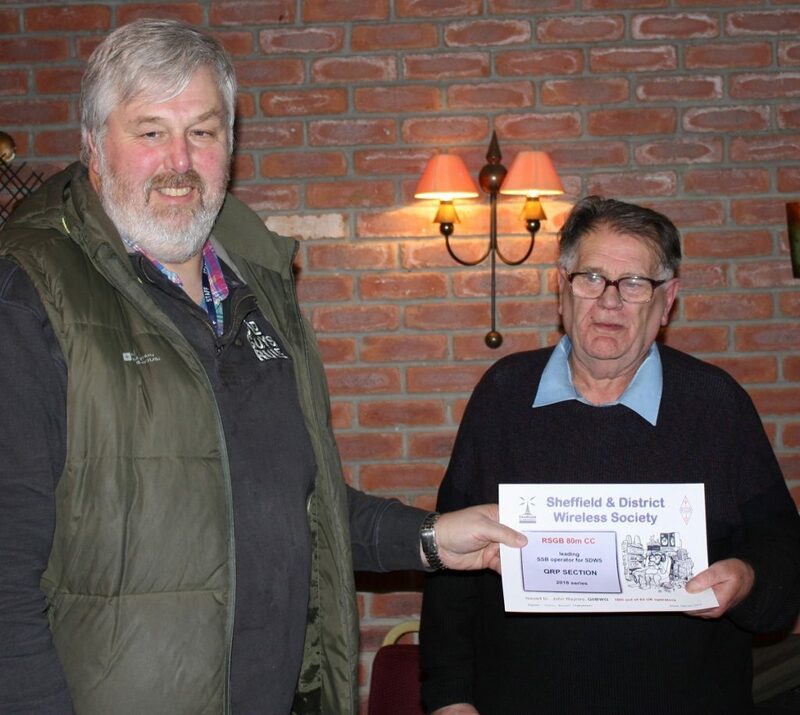 The second oldest in recent history is GB7SF, the area’s oldest DSTAR repeater run and managed by Steve M1ERS and the Sheffield DSTAR Group, who also maintains Sheffield’s first Yaesu Fusion repeater GB7SH. 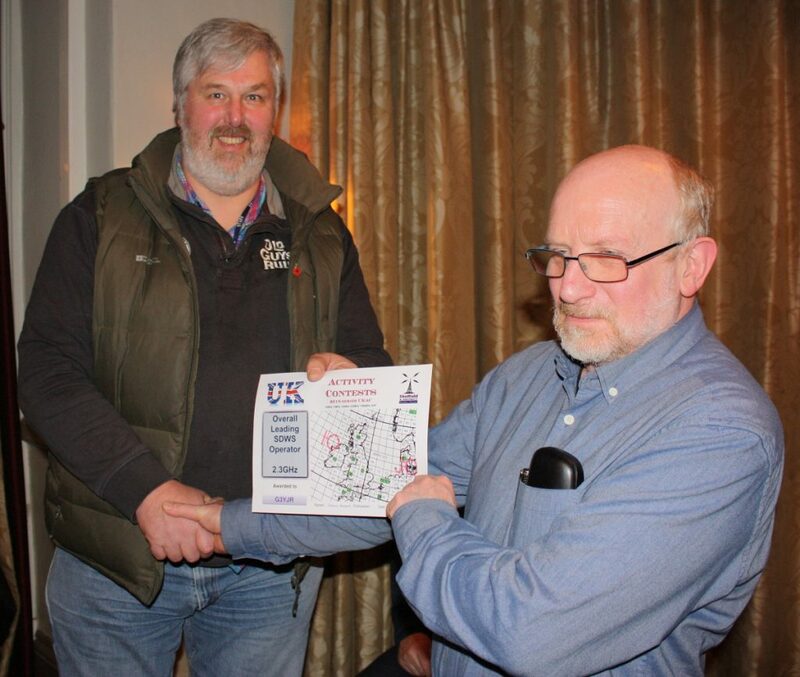 More recently has seen the introduction of the analogue GB3AB providing a high vista and catchment area from Worrall, as well as the DMR repeater GB7SR run and maintained by Andy M0GAV. These repeaters in addition to the various links to Echolink, Allstar and IRLP, just doesn’t fail to meet the expectations and needs of the radio amateur in Sheffield. We need to count ourselves as very lucky indeed, and we sincerely do owe a great deal of thanks to all these keepers. Each repeater in the UK is normally supported by a repeater group composed of local amateur radio enthusiasts who pay a nominal amount e.g. £10—15 a year each to support the maintenance of each repeater and to pay for site rents, electricity costs etc. Repeater groups do not receive any central funding from other organisations. Our current repeaters in Sheffield have been well looked after and maintained by responsible repeater keepers including Andy M0GAV, Greg G4CUI, Steve M1ERS, Martin 2E0EVP and so on. We owe our deep thanks to these amateurs. Repeaters, whilst free to use, don’t come free, and are normally set up by dedicated local amateurs keen to provide such a service for others to enjoy. No repeater keeper ever really asks for money, but it is fair to say that if you use one, you should at least consider from time to time some donation to a local favourite repeater you use regularly, certainly because maintenance and upkeep doesn’t come free, and will most certainly be appreciated by the keepers. Dig deep into your pocket guys if you value what we have, go and help out because eventually these repeaters will wear down. What then you might ask? MB7ITH-L – ALLSTAR, Echolink 437121, 145.21250, CTCSS 71.9Hz, run by 2E0EVP. 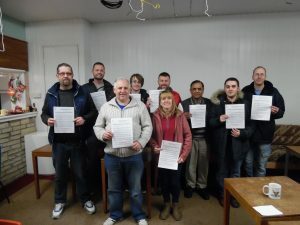 Sheffield Wireless are starting a Foundation Course in January with both Krystyna 2E0KSH and Ian 2E0IEB jointly leading the courses. The course is FREE, open to all, and runs on 2nd and 4th Wednesdays in the panel room at the Rutland Hotel, and then we have a social drink downstairs in the bar time permitting. If you are under 18 and interested in taking part on the course, this is fine, but you must bring a parent or a responsible adult with you. The first session is on Wednesday 10th January from 7:30pm. Buy yourself a drink at the bar, and meet us in the panel room at the Rutland Hotel. Just turn up and be ready to enjoy! Attached by clicking here is a copy of a Plan and Structure for the Foundation course. You will find at the back of the document is a calendar indicating the course content. The advantage of our structure is that you can join the course at any time, but then carry over to the next course, so you can jump in and not miss anything. It is highly likely that some practical tests will carry over onto 1 or 2 Saturday mornings at a location to be agreed. 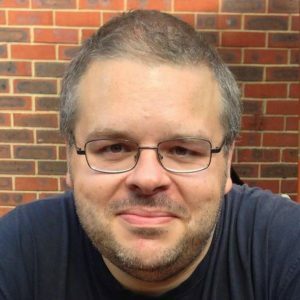 We do plan to have a full itinery of YouTube videos for the whole course, although a limited few current versions which need greatly updating, can be found here… https://www.youtube.com/watch?v=hyVf541O6N0 The videos give a useful lesson if you happen to miss a session, and helpful for to viewing again. We expect to to have a full suite of new videos completed by January ready for your use. If you have time to pop in and introduce yourselves, we are open on the 6th December where we hope to have a talk from Peter Day who’s callsign is G3PHO and we’re also around on the 13th December too from 7:30pm for a chat. We are closed on the 20th December owing to the Society’s booked Christmas meal event.